Uterine leiomyomas (UL) are prevalent benign tumors, especially among women of African ancestry. The disease also has genetic liability and is influenced by risk factors such as hormones and obesity. 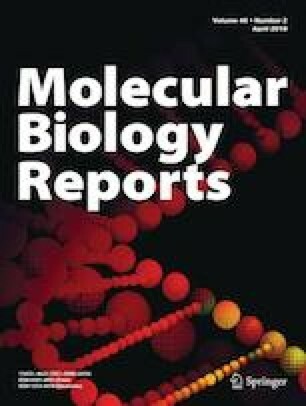 This study investigates the haplotypes of the Cytochrome P450 1B1 gene (CYP1B1) related to hormones and coiled-coil domain containing 57 gene (CCDC57) related to obesity in Afro-Caribbean females. Each haplotype was constructed from unphased sequence data using PHASE v.2.1 software and Haploview v.4.2 was used for linkage disequilibrium (LD) studies. There were contrasting LD observed among the single nucleotide polymorphisms of CYP1B1 and CCDC5. Accordingly, the GTA haplotype of CYP1B1 was significantly associated with UL risk (P = 0.02) while there was no association between CCDC57 haplotypes and UL (P = 0.2) for the ATG haplotype. As such, our findings suggest that the Asp449Asp polymorphism and GTA haplotype of CYP1B1 may contribute to UL susceptibility in women of Afro-Caribbean ancestry in this population. Nucleotide sequence data reported are available in the DDBJ/EMBL/GenBank databases under the accession number (s) LT613647-LT613831. This work was supported by the University of the West Indies, School for Graduate Studies and Research, Barbados, Dr. Tracey Archer formerly of the Barbados Family Planning Clinic, and Dr. Carlos Chase and Dr. Delores Lewis of the Queen Elizabeth Hospital, Barbados. All procedure performed in studies involving human participants were in accordance with the ethical standards of the institutional and/or national research committee and with the 1964 Helsinki declaration and its later amendments or comparable ethical standards.